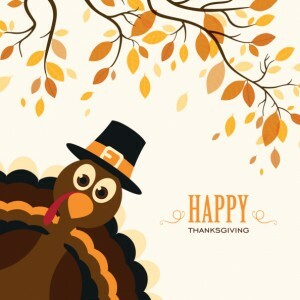 Happy Thanksgiving from Harborside Village Apartments! You have decided to host a Thanksgiving dinner with your friends and family. But are you actually ready for it? Let Harborside Village Apartments help you plan out your cleaning schedule so you have more time in preparing for the big day! Five days before your big feast, you should be concentrating on your foyer, porch, and a central closet. Concentrate on decluttering all of the items in your closet. Throw away broken items of things you haven’t used in a while. Relocate any items you want to keep to other parts of your apartment so you will be able to keep coats in the closet. In the foyer, make sure you have clean doormats both on the inside and outside of your apartment. This will help to keep your guests from tracking in dirt and leaves. Make sure you sweep, vacuum, or mop all the flooring in these areas and wipe down the doors, light fixtures, and doorknobs. Now concentrate on bedrooms, hallways, and stairways. Work from top to bottom. Start by dusting the ceiling fans, light fixtures, vents, nooks, and crannies. Wipe down doorways, furniture, and knickknacks. Vacuum and mop floors in all of your bedrooms and under furniture. Make sure if lay out fresh linens and towels in guest rooms. Make sure to do all of your dusting before vacuuming. Bathrooms are one of the top spots where your guests will be so make sure to clean all of your bathrooms extremely well. Dust the top and bottom of all light fixtures and vents, disinfect all surfaces including the toilet and shower, and wipe the cabinets, sinks, and mirrors. Make sure to lay out fresh towels for guests and hand towels to wipe their hands on. Remove hair and debris from the baseboards, sweep and mop flooring, and put down a fresh bath mat. This one is big: the living room and dining room. Make sure to dust everything including ceiling fans, baseboards, knickknacks, cabinets, mantles, and doorways. Clean to flooring extremely well and don’t forget to remove crumbs, dust, and debris from baseboards as well as in between the cushions of your furniture. The kitchen is where your guests will likely congregate while you are cooking your meal so make sure it is clean from top to bottom. Clean the stove and oven using the appropriate cleaner. Wipe down the stove top, fridge, microwave, small appliances, cabinets, counters, clean the sink, islands, and racks. Make sure to vacuum, sweep, or mop your flooring extremely well. Don’t forget to have fun and take a moment to be truly thankful for all of your friends and family. Happy Thanksgiving from all of us at Harborside Village Apartments! This entry was posted on Tuesday, November 17th, 2015	at 10:45 pm	. Both comments and pings are currently closed.